Name, Age, GMT (Time Zone), hobbies/ interests, forum/ ingame activity (We’ll check). Once you’ve submitted your application, we as a clan will privately discuss your application, once we have done so, if your application is successful a recruiter will be in contact to arrange ingame trials. If your application or trials are not so successful, we shall notify you here. This application is a way for us to learn who you are as a person and to figure out if you’ll fit well with the rest of the clan, so don’t be afraid to tell us more about yourself as a person be specific if you must. We expect your applications to be written properly, this is a great way to express the kind of person you are and how you like to portray yourself, please do not simply include the information above with bullet points. The more we know about you, the higher chance you have of being called back for trials! We value a lot the person together with ingame skills. If you make replays, feel free to leave them below and we shall take them into consideration when reviewing your application. Be sure to include your preferred form of contact, whether that be discord, skype or simply through the forums. This will be necessary when furthering your application. Hello, My name is Redd Marsh, I'm a 19 year old musician/ streamer from a small island in the south of England called the Isle of Wight, I spend most of my time either at home playing video games or writing music. I'm very active both In game and on the forums. Don't let my join date and post count let me down I didn't play for the whole of 2013,15,16 and 17 so my post count sort of Plateaued out. I also originally also played from 2008- 2010 on a separate account. As I say i'm 19 and very mature when needs be. I live on a small island in the south of England also known as The Isle of Wight. I am now entering my second year of college. My school life has gone particularly well as I have achieved all my grades to Distinction criteria and my English can be very complex if need be. I live at home with my parents and my brother along with dog called Vesta. I Stream over on Twitch Daily and have been hosting betting servers almost daily. I spend alot of my time playing lots of different games but my main that I spend the most on is Toribash, Rocket League, CSGO and Smite, they're all very good games in my opinion. I see people with the tag all the time from Origin and they’re always really friendly. I realize I'm not the best at Toribash but i'm willing to give up the time and effort to get better. I’d like to get to know the majority of you if not all of you. I know Origin is one big family of friends that priorities personality over skill and I'm open to talking about anything and everything as I'm a very open minded guy. Heyo! My name is Anthony or as I'm known as, Kiriacid. I'm 14 years old and I'm from a town in Indiana called Fort Wayne. I have many hobbies, but the ones I mostly enjoy are playing video games as I have a lot of spare time, but I also love playing sports, like basketball. When I have nothing to do I practice doing graphic designing. I have made some logos before but I'm only beginning. I do swear alot, but I am well-mannered when it's required. I am average at Aikido, but I have lots of room to improve in it. Some of my favorite mods are Boxshu and Sparring. I am not that great at sparring but I am trying to improve at it. I am a black belt, but I had a separate account that I had played on 2012-2013. It is now deleted. I am active on forums but do not make many threads or post as I have no reason to. My last clan was (WP) Willpower. At first it was a great clan, but then some of the members and the leaders turned toxic and so I left. I own an Xbox one also and I play GTA 5, Fortnite and other games on it. 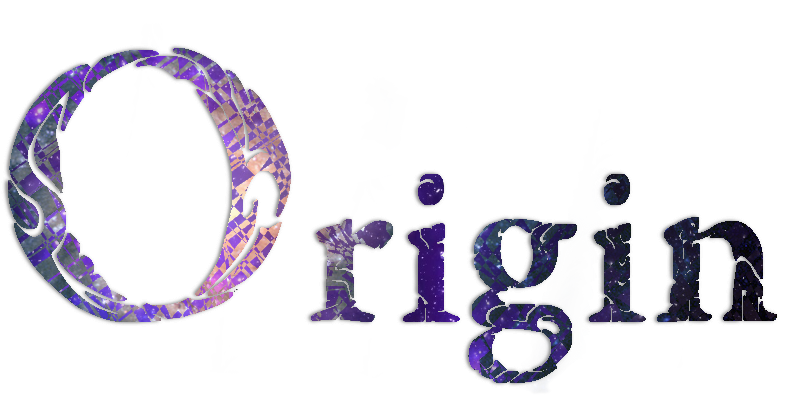 The reason I picked Origin was because I saw that it was an old clan being revived. It's great to see clans from back then rise back up, and I want to be able to help and be apart of it. The clan members and leaders are always polite and cheerful, and it's also a great chance to help and meet new people. P.S I made this at 6AM in the morning and I have not slept, so I am sorry if there are any mistakes or typso made. Thank you for your application. We'll let you know the result once we've discussed about it. Nice application, you wrote everything we were looking for. You've been accepted in Origin, please check your pms. Last edited by WeppetKo; Jul 24, 2018 at 08:58 PM..
Instant-deny, please read the first post. Name, Shayne my age is 15 currently living in nb GMT (Time Zone), New Brunswick is in the Atlantic Time Zone in Canada, which is 4 hours behind Greenwich Mean Time (GMT-4). i have hobbies/ interests, such as Hockey, gaming, cs:go ect my forum/ ingame activity i am not the most active forums wise, but i will be in game a lot more now that i have a scroll wheel i am just getting back into the mix of toribash. Hello, my name is shayne. i used to have a main account known as, shaynecan but that dissipated as i hate the name. im into sports, such as hockey, but its about the only thing i play. i can be a very amusing person but if you get on the wrong side of me i will admit to having a toxic side. I'm a quite decent ABD player, I've been here since 2008 on an account calls ASMN(numbers) i don't remember the account so i do not have access to it at the moment, I'm currently rusty as i quit about 4 months ago and got back into the swing of things about 3 days ago when i met dillon with his words "You're mine now go make an application". To be 100% honest, at first it was because dillon is here but after some time of thinking i decided i wanted to join because this is a very old toribash clan who has almost dissipated from the game completely but somehow is being revived, i want to be a part of that road and help reach #1! Last edited by Blacklisted; Jul 25, 2018 at 09:21 PM.. Blacklisted, accepted onto trial with precautions. Last edited by Rxlic; Jul 25, 2018 at 09:31 PM..
Hello, my name is Edmond Toussaint (Aka Emoney7 I was born on February 2nd, 1999. I discovered toribash back in 2011 when I watched a youtube video of a male describing the game. I was raised in New Jersey for over 18 years. But I currently attend Full Sail Unversity in Orlando Florida. I'm going for computer animation it's highly accelerated so my schedule changes every month. During my free time, I enjoy making music and consuming/making different art in many forms. My personal friend's circle is quite small, I may seem like I don't open up yet its the total opposite. I originally joined the clan back in 2011 and was part of it ever since. I can sometimes have an obsession with things I enjoy, a minor example is when I watched all might win against all for one. I pretended to be him. And acted out all of the events/ fights like a child. I am obsessed with the idea of fantasy over reality. Which can be detrimental at times but also a huge eye-opener and uncovers deep conversations at the time. As I said before I make music, which is my main purpose. Animation is simply something to fall back on if all else fails. I am single and always has been, I crush hard when it comes to relationships but I learned from my past stupidity. I have some knowledge of editing videos and music production of course. I do not play too many games as I used to. I forgot to mention my school is not a normal school. They do not have dorms so I live in a one bedroom apartment,(my parent help me) I don't have much furniture and I can't get a job because of my schedule constantly changing. No Job wants that... But I will have time to get on toribash fairly often for 3-4 hours or more when I don't have school, which currently is every other day. I have a Xbox one but no Tv so I can't play. The only game I play often is toribash and maybe imvu? Every blue moon or so. I was part of the history of this clan and I want to continue being part of that history. This clan has gone through ups and downs, but regardless I always remained. Even when nobody cared about the clan and began to leave I still remained, yet today no longer the clan stays frozen. It has heated up and I truly can say I would like to be part of that boiling process once again. Glad to see you back, great app, accepted! Welcome home Emoney! Fun fact, my girlfriend nearly attended Full sail, we're both musicians, but she is now attending Musicians Institute! Great app emoney, and thank you for rejoining Origin. Invited.